Everyone gets there from time to time. Completely worn out. 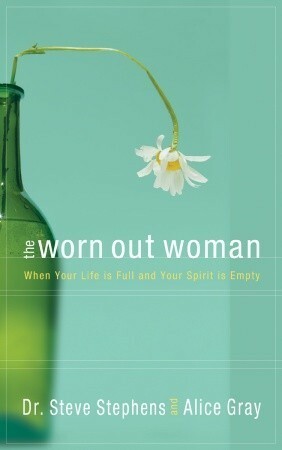 There’s a book for women called, The Worn Out Woman. The limp flower on the cover pictures her well. When looking for Scriptures to encourage the worn and weary, one need look no further than the story of Elijah, the Worn Out Man. In I Kings 18, Elijah has one of the biggest showdowns in biblical history. Not a 1-on-1 showdown such as David and Goliath, but one of epic proportions: 450 prophets of Baal to 1 prophet of God. Not a showdown with fire lit by dry tinder, but sopping wet altars (12 large jars full), and exploding fire falling from heaven. After the cries of beating and lashing prophets, (18:28), God answers the simple call of a godly man, with a nature like ours, for fire from heaven and for rain after three and half years. (James 5). All this drama would make one think that kind of guy (or gal) would never doubt God again. But such is not the case. Just a few days later, with a death threat from Jezebel on his head, he’s lying under a broom tree wishing he could die. Simply put, he’s worn out. God meets him under the broom tree and by the still waters restores his soul. How? He encourages him to sleep and eat. And then try that again. (I Kings 19:4-8). Then Elijah, the worn, goes to the mountain of God…listening for the words that make all that’s wrong turn out right. Elijah pours out his heart (twice) and God listens (10, 14). Then God speaks, not in the strong wind that rolls the rocks, nor the quake that shakes the earth, nor this time through fire, but instead through a gentle blowing. “Come to me, all you who are weary and heavy laden, and I will give you rest. Take my yoke upon you, and learn from Me, for I am …gentle in heart and you will find rest for your souls” (Matt 11:28-29). Many of us have pushed hard through a year of ministry that’s worn us down. If not ministry, then recent journeys, such as our own, through cancer, death of a loved one, and words that wound like Jezebel’s. Truth be told, we’re worn out. This past week, Rick’s mom has had heart issues. Enough to be in the hospital a couple of times. Dad’s needs are just so great – she’s worn. Her son, faithful to all his callings, is teaching a modular course this week at Heritage – and it’s been a full year (or two) for him. Would you pray for the Reed family? And for yourself…when could you just get away to a mountain of God? Just to be with the Creator…not looking for flashes of lightning, or the earth to shake, but just to listen for His still, gentle voice? Just to know you’re loved? Just to know you really aren’t all alone? Just to know…God Himself. This entry was posted in Ministry Matters. Bookmark the permalink.